Lowest tier in the front and highest in the rear. It can be right handed or left handed. Base is nominally 14” square and 20” deep. This can staircases in two directions. The side to side is 34” and depth is 9”. Can be made left hand and right hand. 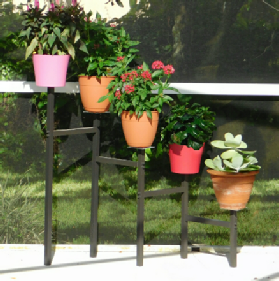 Tall Units: $65 including shipping. Standard Units: $60 including freight. The square tubes are powder coated aluminum. 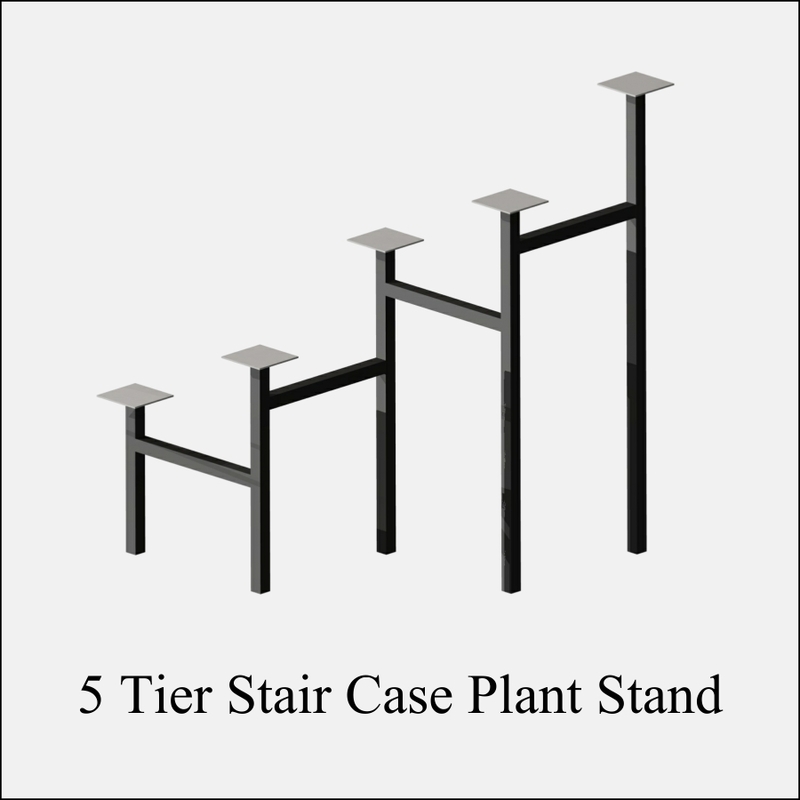 The aluminum square plates on top of the posts are secured with stainless steel screws. The assembly screws are stainless steel. There is nothing to rust or corrode that leave stains on your deck. 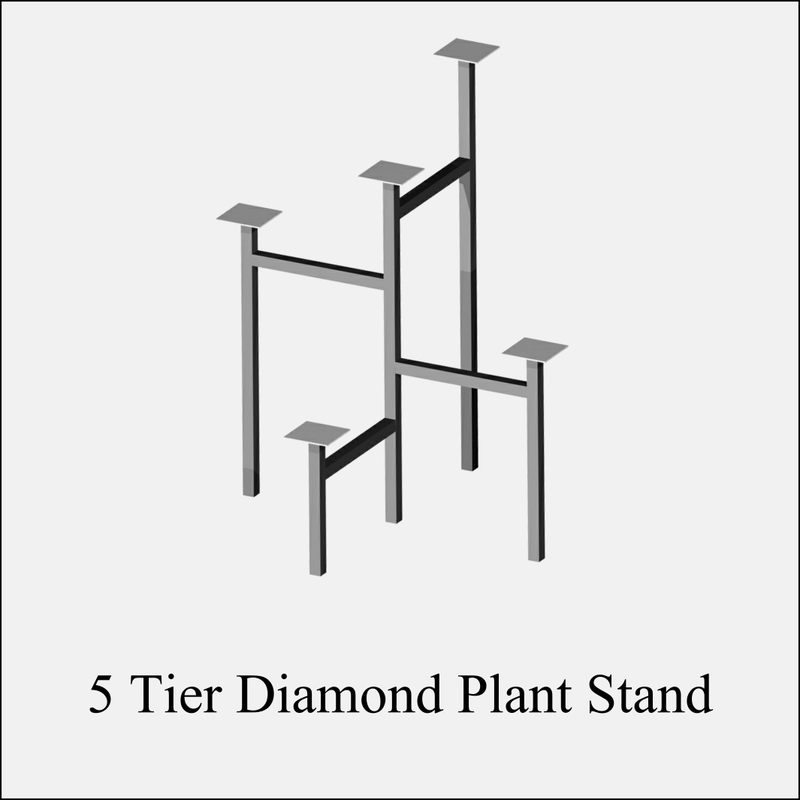 The all aluminum plant stands come in easily assembled kit form. Parts are precut and predrilled. Easily assembled with an electric screwdriver, phillips head and 1/4" socket. The tiles are secured to the plates with your favorite glue. 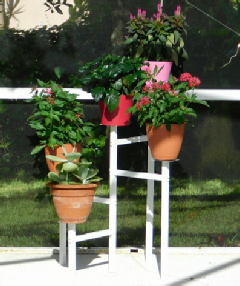 When complete secure pots or saucers to support plates with florist putty, double sided tape or an exterior adhesive. Option 1: Follow Etsy link below to our store. Pick the model an color and then it is on autopilot. Option 2: Contact us by email through the link below. Tell us what you want. We will then invoice you through Paypal. Shipment will be with 3 days of payment verification.